Investing in an external hard drive and making regular backups will help you in protecting your data, if not in saving you against malware. A data backup can save you from significant stress, time and money in the event when your computer becomes infected. Alternatively, you can subscribe to a cloud backup service and upload your most important data regularly. Free cloud services like Google Drive, Apple iCloud or Dropbox can also be used to store your most valuable data without spending a penny if you do not have many files, if you do then subscribe, they are not that expensive. 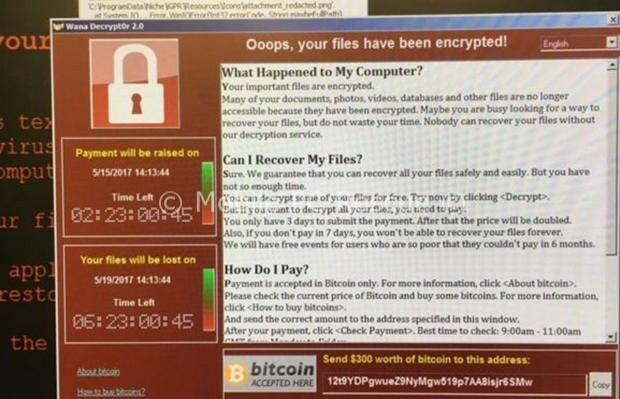 This Ransomware spread through a weakness in Microsoft Windows which was formerly exploited by US surveillance agency NSA. This tool, unfortunately, was leaked in April 2017 and is now being used by hackers behind Wanna Cry Ransomware. In response, Microsoft released a fix for this vulnerability which can be applied by those who are still safe from Wanna Cry Ransomware. Though Microsoft did release a fix for the vulnerability; we still do not know if any similar vulnerabilities still exist in the OS. In this case, it is necessary that you update your OS to the latest version, preferably Windows 10, as soon as you can. Phishing emails are not uncommon, any email containing links or files can grant malware access to your computer therefore keep your eyes open and steer clear from any such emails. Ransomware can also infect computers via malicious website advertisements or through the installation of unverified software. The best defense in such cases is to avoid any such website or software links as they may lead to the installation of malware or Ransomware program. Using a firewall can stop ransomware from entering your system. A firewall guards your online communications and makes sure that no suspicious or unauthorized program access your computer without your consent. It is necessary that you keep your firewall software updated at all times, so you remain safe from any recent forms of malware. Also, make sure not to approve any suspicious files from bypassing your firewall security and entering your system. One thing that you must remember is that paying ransomware does not guarantee its removal from your computer. Giving in to the hacker’s demand and paying the ransomware amount only gives attackers the arsenal they need to create and spread more ransomware programs. You should instead try restoring a pre-infection backup of your computer. If a backup is not available, but the files are important for you or your business, then get in touch immediately. Don’t give in. Don’t pay!